Just noting the spread of interest in mHealth: VivaCell-MTS launches Mobile-Health pilot project. Newcomer The CarePhone is pushing ahead with its plans to shake up the UK pendant alarm market by introducing soon four new, pretty pendant cover designs for its landline unit. 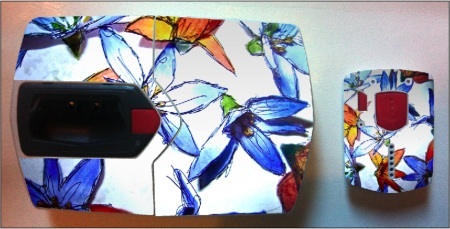 Shown here is the floral pattern. The pendant is on the right and the base station into which it slots for charging is on the left. To see the other designs, click on the 'Read more' link below the 'Share' buttons. Tags: Center for Aging Services Technologies (CAST).